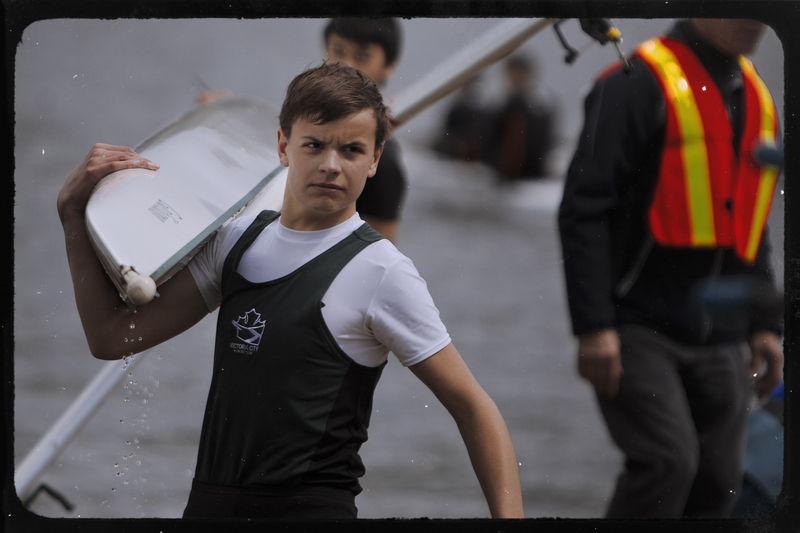 The first junior rowing regatta of the season for the Claremont Rowing Team was Maple Bay, April 13 in Duncan, British Columbia Canada. 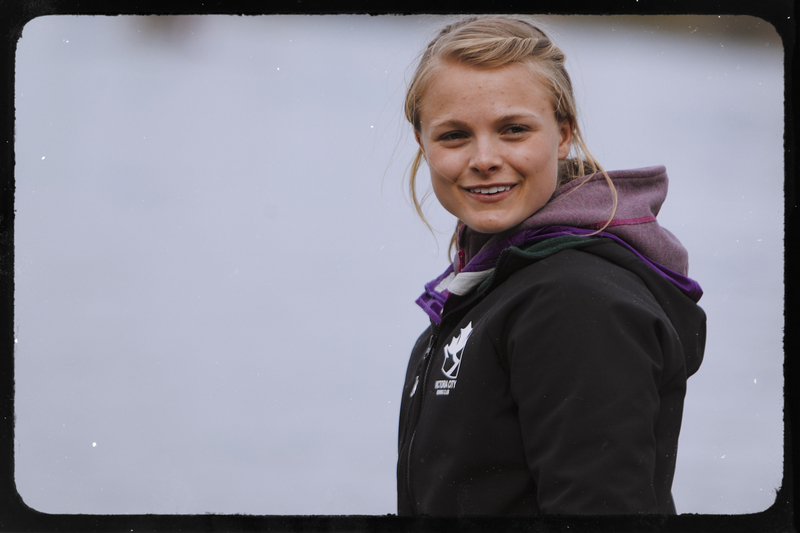 Being a coach with the Claremont Sport Institute rowing team has allowed me to stay connected to the sport and continue taking rowing photos. By watching fellow photographers and working with photo editors I’m learning how photos are used in the media, and how a photo shoot for a magazine may differ from one for a wire service or a newspaper. 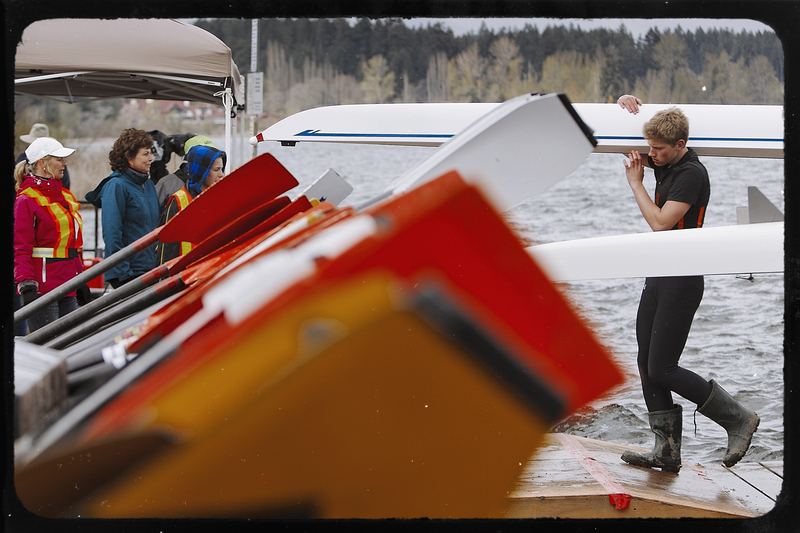 Here’s 10 photos from the regatta, and why they stood out for me. 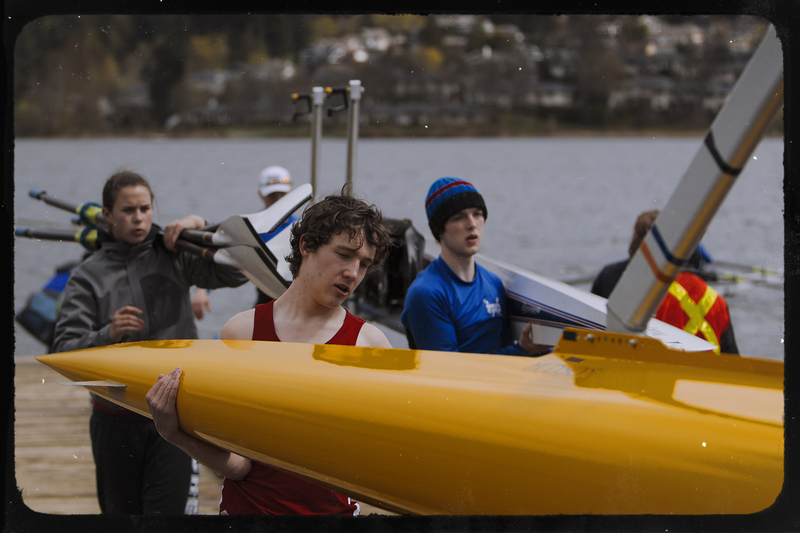 The yellow boat across the bottom anchors the photo, with the rower in the red shirt framed by the girl carrying his oars and his opponent in blue. Everything and everyone fit nicely together. I waited for this Victoria City Rowing Club coach to look up after she finished launching her crew, then I snapped this photo. Although there is little visual context to explain her surroundings, I decided to include it in my Top 10 because it captures her in a very natural moment; I like her smile and the braid in her hair. 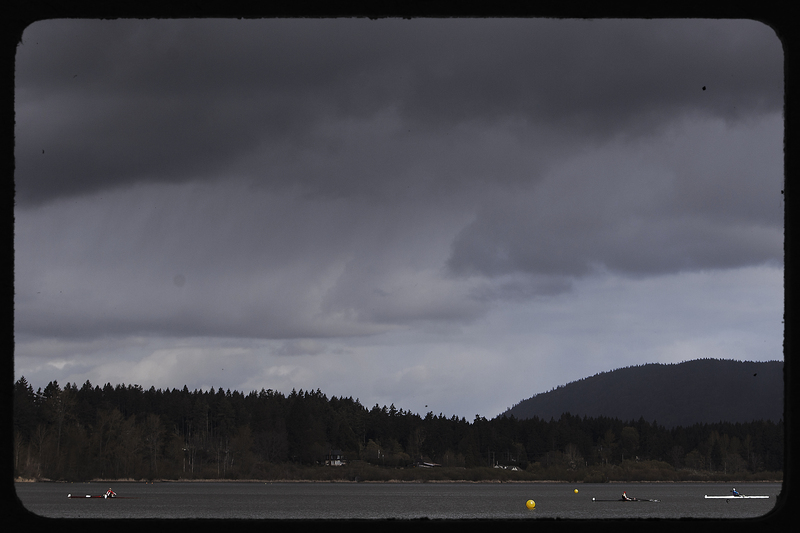 During the regatta, the water got rougher throughout the day, making for difficult rowing conditions but better photo opportunities. More water often splashes into the boat on rough days. In this photo, the accumulated water spills out as the rowers carry their boat off following the race. 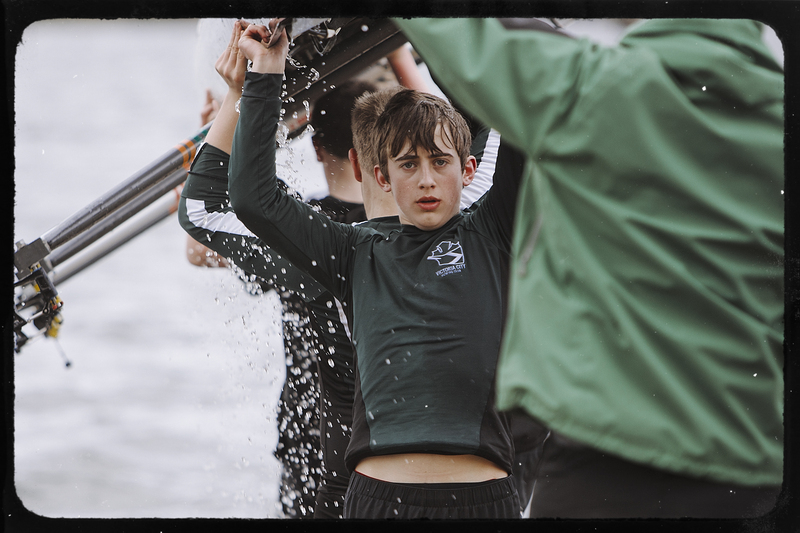 But what makes this photo particularly interesting is the way the coach’s arm and body frame and support the weary-looking young rower. When I show my photos to others and ask for their opinion, I like hearing their first impressions before I explain the context of the photo. This may seem obvious, but as photographers we often have a tendency to explain what makes a photo great rather than sitting back and letting the photo speak for itself. When I showed this photo to my wife, for example, she said what stood out for her was the young rower’s clean-cut hair in an era where the outrageous seems to be just as common. 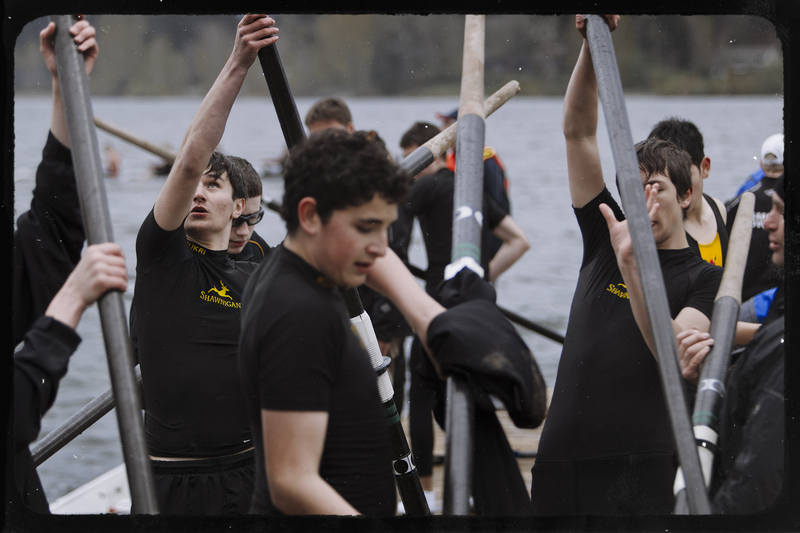 Rowing is often considered a serene, gentlemanly sport. 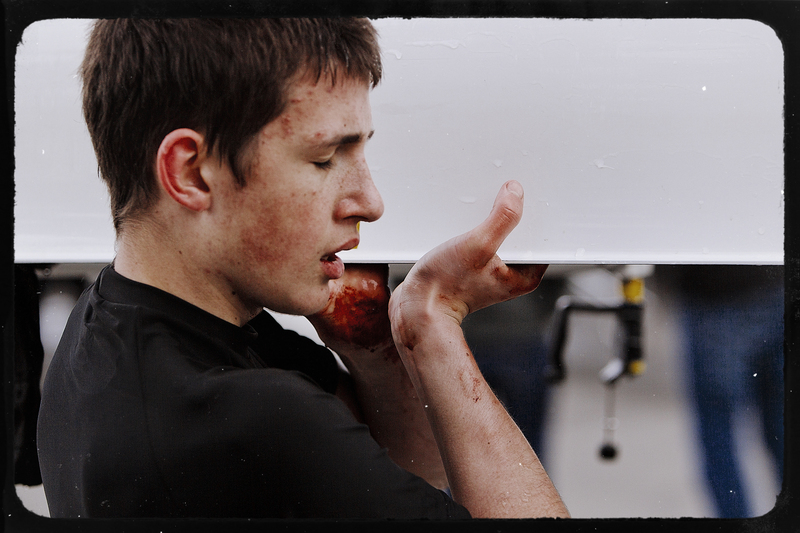 However, this rower’s bloody hands in the photo show that it may not be so gentle after all. Young rowers who are learning how to manipulate their oars can suffer razor-blade-like cuts on their hands as the oars repeatedly collide with the skin, made worse by rough water. I was standing at the end of the dock as this rower walked by me. I noticed his hands, so I ran 30 feet ahead until I reached the front of the boat, took a breath, steadied my camera, and waited a few seconds until he passed by to take the photo. I’m learning how to react instinctively when I see a good photo opportunity. If you stop to think – especially in sports photography – the moment can be gone in the blink of an eye. Sometimes that means running, jumping, or laying down and getting dirty to get the shot – a small price to pay for a photo that will last far longer than the pain or effort I exerted to get it. If you look closely, you can see the white blades at the catch of the sculler in the lead. I had been waiting for this moment when the sunlight surrounded by the dark sky and trees would illuminate her blades. It is difficult to catch this precise moment in the stroke. The two scullers on the right, for example, have their blades feathered and flat and thus do not catch the reflection of the sun. People wearing hoods make for great photos. The inner shadow highlights their most important feature – their eyes. I like the depth created by the boat on the left as well as the rain drops in the empty space on the right. From the perspective of a rowing coach, the photo speaks volumes about the dedication of these athletes. The rower is tired but has wrapped herself in blankets to keep warm so that she can help her teammates get their boats to the water. This photo is characterized by striking angles and colour composition. The picture is coloured entirely in matching oranges, whites, blacks, and beiges. 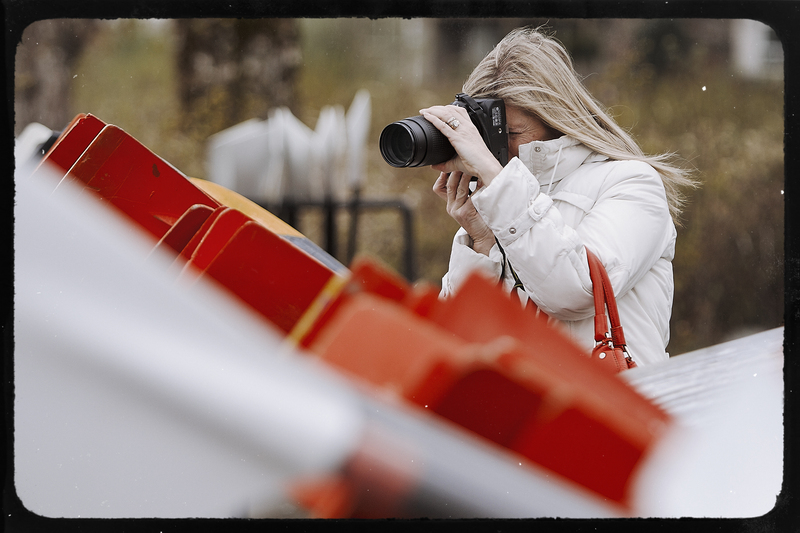 The woman’s bright white jacket matches the white oars along the bottom of the frame as well as those in the background. The bush behind her matches the colour of her skin and hair, while the black camera lens matches the shafts of the oars and trees. And, finally, as if by design, the orange-tipped oars match perfectly with the woman’s purse suspended in the crook of her left elbow. The bright orange blades are also resting against the fence on the same angle as her hair is being blown by the wind. I didn’t notice all these elements when I first saw the scene developing, but it looked interesting and I had about 30 seconds to take 10 shots before she put down her camera. It was only afterwards that I noticed the striking colour composition. This photo is similar to Photo #3, but it is taken from the opposite angle. It was my first shot; it was meant to be a test, but it turned out to be the best one. Notice the rower’s rubber boots and the oars that divide the frame. But what sold me on this photo was the volunteers on the left. The look on the parents’ faces added an emotional component to a photo that was already graphically strong. I struggled with this photo. I liked it, but I didn’t know why. Editing and selecting photos is sometimes as hard as shooting them. As a rule, if I don’t like a photo, then I assume no one else will either. Similarly, if I like a photo, I trust my gut and don’t worry what other people might think. In the end, what struck me about this photo was the movement of the oars – it reminds me of a controlled team ballet.